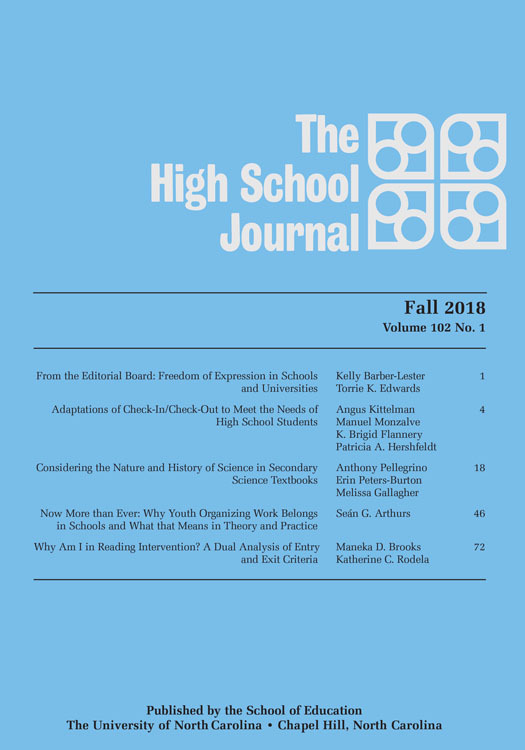 The High School Journal publishes research, scholarship, essays, and reviews that critically examine the broad and complex field of secondary education. Founded in 1918, it is one of the oldest peer-reviewed academic journals in education. The journal is managed by students and faculty in the School of Education at the University of North Carolina at Chapel Hill and is published quarterly by the University of North Carolina Press. For more information, visit the The High School Journal‘s website.